This article will describe the current landscape of eBooks relevant to the law library field, the benefits and challenges of offering eBooks in law libraries, the different ways to purchase law-related eBooks, and how to get started choosing a solution. This is Part One of a three-part article series which will be followed closely by Part Two: Brass Tacks which will discuss the different pricing models that are available, how they work, their advantages, disadvantages, and a checklist of questions to ask before choosing an eBook solution for your law library. Part Three: What Law Libraries are Doing will delve into what we’ve chosen to do for our eBooks program at NYLI and how that has evolved over the past five years to a hybrid model, as well as what other law libraries have chosen as their solutions. 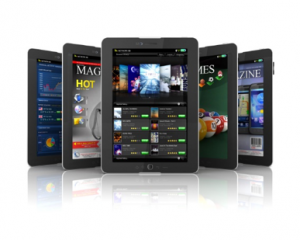 Sales of eBooks have outpaced print editions since as early as 2012 in the consumer market. 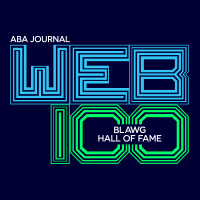 And according to the ABA 2016 Legal Technology Survey Report, 84% of attorneys are currently using an iPad while 10% use Android tablets, but either way, law firms have heavy tablet use among attorneys who want their research to-go. And who wouldn’t want the instant gratification of having their research instantly appear in their hands versus waiting for an ILL? 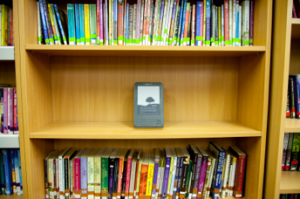 • No Shelf Space Required: Always at a premium in libraries, and especial for law firm libraries, there is absolutely no shelf space needed to store eBooks. • Instant Access: Attorneys and all library patrons enjoy being able to instantly attain their desired books, and what’s more be able to instantly get at them from where ever they may be, rather than physically visiting the library. • Increased Portability: Library patrons can borrow and carry with them as many eBook titles as they’d like, all for the 1 lb. weight of their tablet device. • Full-Text Search: Many eBook providers largely offer a full-text search within individual eBooks, while some, including ProQuest, offer a full-text search across entire eBook collections. 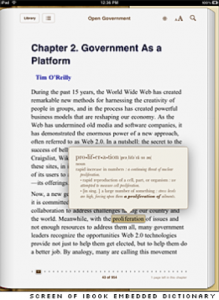 • Added Features: eBooks come with a full suite of added features such as the ability to place bookmarks, make annotations, highlight text, etc. And while you may be able to dogear and mark up print books, you certainly can’t copy and paste or access built-in dictionaries. Nor can you click a phrase in your text and be taken instantly to a Westlaw citation. • Enhanced Publisher Content: Today’s eBooks come with the ability to access additional, related content such as direct links to Lexis Advance, WestLaw Next, etc. • Long Waiting Lines: Since many eBook programs place a restriction on the number or readers that can check out an eBook at the same time, library patrons often come across long queues when trying to check out a title which can lead to frustration. • Different Vendors/Interfaces: Everyone wants to be special! And eBook vendors are no different, they each want to have their own proprietary look and feel to their eBook interface, some even have their own eBook reader software. Each presenting a new learning curve for patrons. 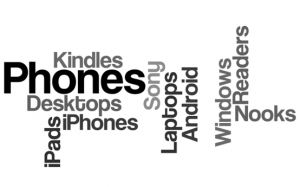 • eBook Devices: There is a wide array of different tablet and eReader devices on the market today and ranging from iPads to Android tablets to Kindles. And if the library is offering eBooks, they’ll need to be prepared to provide support for how to access them on those devices. • eBook Formats: There is currently not a single standard eBook format as of this writing, and although the industry is moving toward the ePUB format which is widely compatible with a large number of tablet devices. So, it is important to be aware of the formats in which each vendor uses to provide their eBooks. • Pricing Models: Probably the biggest and most intimidating factor when choosing an eBook solution is the range of different pricing models. We will get into this in much more detail in Part Two, but comparing different pricing models is much like comparing apples to oranges. As you will soon see, prospective eBook managers need to navigate an alphabet soup of acronyms created by vendors such as STLs, ATO, NLL, PDA, DDA, etc. • Publisher – Library Tension: There has been significant tension between publishers and libraries since eBooks were first made available. Since that time publishers have changed licensing agreements after-the-fact, pulled books from patrons’ eBook readers, set total number of book loan limitations, placed embargoes, raised their prices to the point of being all-but cost-prohibitive, and most radically, refused to sell to libraries at all. • Software Installation: Unless they will be read and accessed solely through a Web-browser, eBooks necessitate some sort of eReader software. 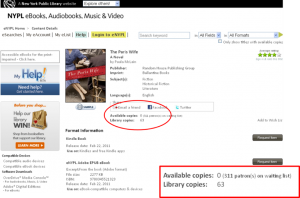 The popular software for reading eBooks in law libraries is Adobe Digital Editions (ADE). However this type of software installation can pose a problem in law firms and other libraries who must go through the IT department to have this installed on all desktops. • Firewall Issues: Even firms and libraries that may be cleared to use certain databases via their local network, may experience firewall issues when trying to access eBooks via their firms’ wireless networks. This is an additional hurdle which must be dealt with through IT. • Mediated Loans – In law firms, often times it’s a librarian who is relied upon to check out or recommend books to attorneys. Most eBook packages do not have the functionality built in to deal with mediated loans. In the past, librarians could download a pdf of an eBook and pass it along to attorneys. That is not the case anymore. At once overwhelming and exciting is the vast selection of options that are available to libraries when purchasing eBooks. The OverDrive service boasts 2 million digital titles from 5,000 publishers and over 38,000 library, school, and college subscribers worldwide. They also host the LexisNexis Digital Library of over 3,000 primary law, deskbooks, code books, treatises and titles from publishers such as Matthew Bender (140 titles). OverDrive also provides titles from such legal publishers as the ABA (nearly 800 titles) and West Academic (550 titles). These titles must be purchased by libraries and then made available through the OverDrive service and are limited to one user/reader at a time. ProQuest has built quite a large eBook empire in a relatively short period of time. They started off with acquiring the subscription-based ebrary collection of 100,000 titles in 2011 and followed that by its 2013 purchase of EBL, the Australian-based eBook Library, of over 400,000 e-books and 600 publishers. EBL offered a unique pricing model called PDA (patron-driven acquisitions) which enabled libraries to offer thousands of eBooks to patrons and only incur charges as they were borrowed. This acquisition offered ProQuest the opportunity to have both a subscription offering and a patron-driven acquisitions (PDA) offering. They followed this acquisition quickly with the 2015 procurement of MyiLibrary from Coutts Information Services from Ingram Content Group, gaining them an additional 750,000 titles. They combined all of these collections into their unified eBook Central which launched in 2016 with a selection of over one million eBooks from 750+ publishers, 1,500 imprints, and a slew of pricing/lending models. The research database magnate EBSCO took a similar route, acquiring eBooks on EBSCOhost (formerly NetLibrary) from OCLC in 2010. EBSCO now offers more than one million eBook titles and over 70,000 audiobooks from more than 1,500 major academic publishers and University Presses from around the world. Similar to ProQuest, EBSCO offers patron-driven acquisitions, ownership pricing models, and subscriptions to their eBook programs. • LexisNexis Digital Library: 3,000 primary law, deskbooks, code books, treatises and other titles. See entry above under OverDrive. 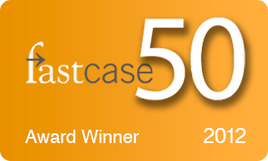 • Thomson Reuters ProView: Over 1,800 law-related titles which link seamlessly to WestlawNext. • PLI Discover Plus: More than 9,000 treatise chapters, 67,000+ course handbook chapters, 2,300+ answer book chapters, 5,700+ transcript segments, and 3,200+ forms. • Wolters Kluwer Digital Book Platform – a virtual library of content from 1,900+ titles of the Kluwer Law International product line. Wholesalers are in a unique position as they can provide content from both publishers and aggregators, however they rarely have their own interfaces and libraries will need to be prepared to have to deal with multiple licensing agreements, although they will only need to make payment to one vendor. • GOBI Library Solutions was once well-known as Yankee Book Peddler. This wholesaler was acquired by EBSCO in 2015. They currently offer more than 13 million e-books and print books from aggregators such as ProQuest ebrary, EBL, eBooks on EBSCOHOST , Gale, and a host of publisher-direct titles. 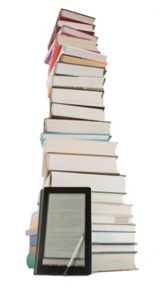 Many library consortium have worked out discounted rates for eBook programs for their members. Going this route will guarantee that vendors have been well-vetted and offer a good value for libraries. Be sure to check if you are a member of a local library consortium such as NELLCO (New England Law Library Consortium) or other association. In the next article we will discuss the different pricing models that are available, how they work, their advantages, disadvantages, and a checklist of questions to ask before choosing an eBook solution for your law library.